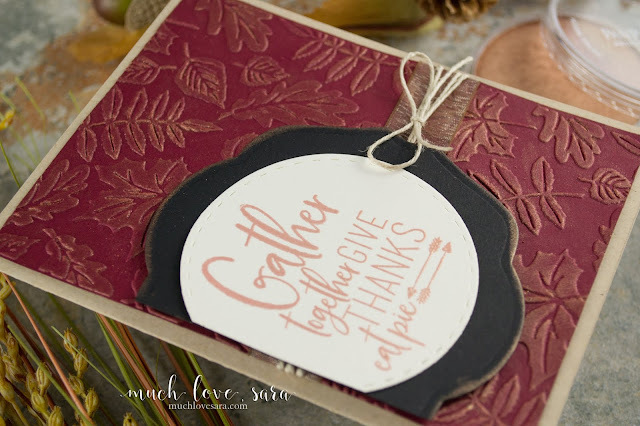 Today, I have another card for you, inspired by an item from the Journey Holidays Catalog. 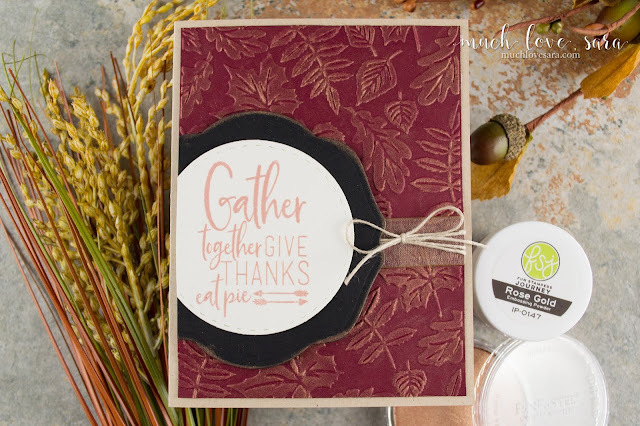 When I saw the new Changing Seasons embossing folder, I knew exactly what I'd be doing with it first. The new rose gold PanPastel was perfect for this folder! 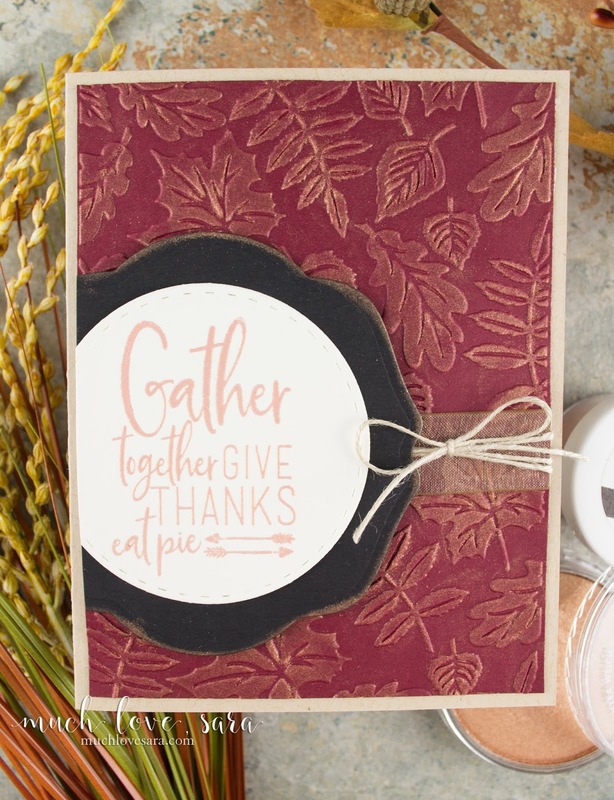 I began by embossing my Raspberry Berry card stock, and then lightly rubbing the raised portions of the image with a sofft sponge and the rose gold PanPastel. I stamped and heat embossed my sentiment before die cutting it out, and also die cut a treat label at the same time. I lightly sponged the outside edges of the label with the PanPastel before attaching my sentiment, and adding foam squares to the back. I wrapped a piece of Oatmeal Cookie ribbon around the card front, and then wrapped some of the natural twine around it, before tying the twine off in a bow. I adhered my sentiment panel, and trimmed the excess from the edge, before mounting the card front to the Oatmeal Cookie card base. This is such a pretty and elegant card. How pretty would that card front be, made into table tents for nametags on your Thanksgiving table?